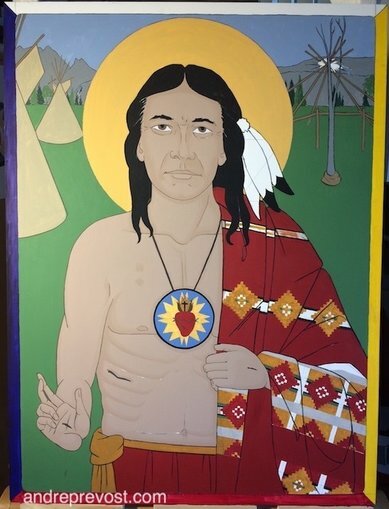 I received word that the Siksika Sacred Heart Icon arrived safely to its home in Alberta last night, and was well received. Looking forward to hearing more news. 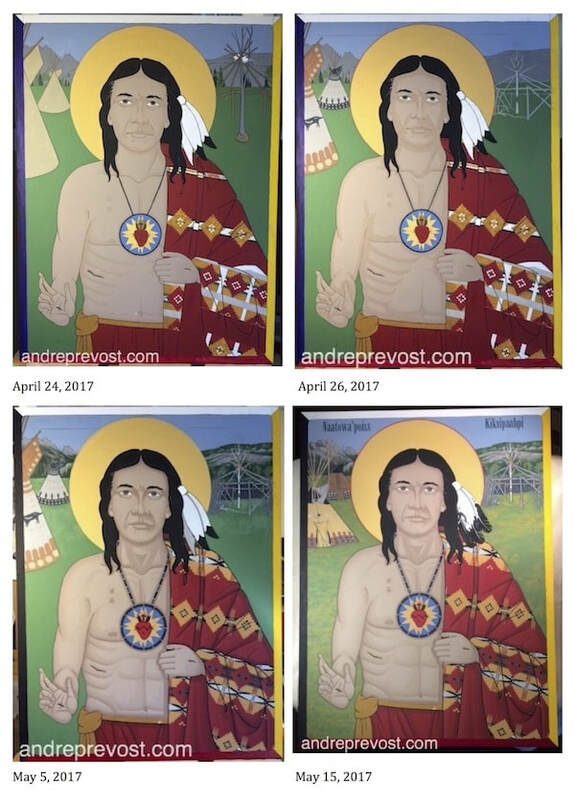 There is a potential Plains First Nations icon of St. Anne in the works, as well as another icon for the Siksika Nation. These new icon designs are more labour intensive but am thankful for these these wonderful opportunities. It may be a crazy busy time if I also receive word as to whether my totem painting submissions for the 2017 Sooke Fine Arts Show have been accepted. I can see all deadlines ending up in the mid-July time frame! 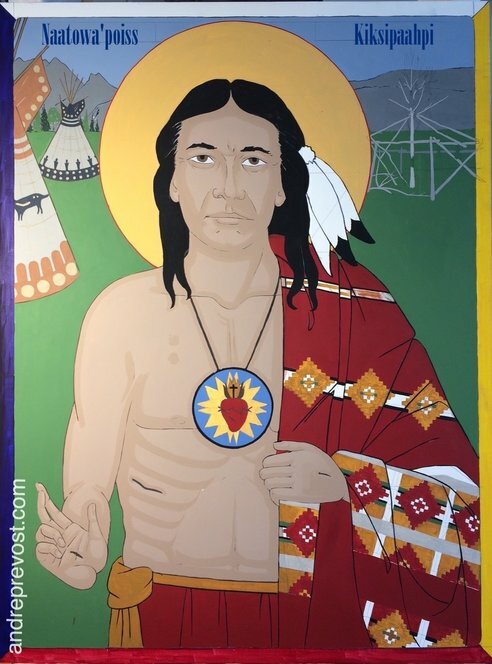 The Siksika Sacred Heart Icon has been completed. Not counting any of the research and initial designs, the total hours on the icon came out to 141. I'll prepare a commentary on the icon, to post on the website. The inscription is Blackfoot for 'Sacred Heart'. The icon was in collaboration with Romeo Crow Chief, Mgr, Siksika Nation. I managed to get a cropped image of the icon before varnishing later tonight. It will be packed on Tuesday and delivered to Horseshoe Bay on Wednesday, after which it begins it travels to Alberta. The plan was to complete the Siksika Sacred Heart icon today, but I still have 4 hours of cleaning up details etc. to get down tomorrow morning. In the finishing stage, when working with the icon upright, I need to cover sections under work areas in order to not have paint splatters falling on the completed work. I just laid the icon onto it back so that it is ready. It is easier to do the finishing details and line work that way, and easier on my back. The icon is on a tight schedule. I'm sure some wonder what's been done on the icon over time, and yes, doing a new design does take time: research, modifications, and incorporating elements that make up the Blackfoot icon. I prepared a time composite of 4 pictures with dates, so that you can see the changes made. Once the background is completed, I can then complete the figure of Christ, with the face being the last part of writing the icon. The last few days, I've been working on the pendelton (blanket) pattern, and starting on the bead work on the Sacred Heart pendant. I've also had to darken the overall skin tone as it become too pale against the red, but especially the green background , which I will develop once I can lay the icon on its back in order to work more in glazes. The progress is going well, but I will need to take a few days to finish a totem painting for a dear friend in Ottawa. Once that is completed, I'll be back with the icon. I'm thinking that I'm at the 1/2 way mark. Before I continue developing the icon, I needed to factor in the formatting for the Blackfoot translation of 'Sacred heart' ~ Naatowa'poiss Kiksipaahpi. In order to use the traditional space at the top, on either side of the halo, I needed to sand down my original design for the Sundance structure as 1) it would be in the way of the inscription, and 2) it was too large in relationship to the tipis on the opposite side. I've just roughed in a new design for the structure, based on some recent photographs that I found online of structures in Alberta. I also superimposed the text on the jpeg as a reference. Now that I have the critical elements sorted out, I can now continue with the icon. I got the base colours blocked in and all the white gesso is gone. Getting rid of most of the white informs the job of refining and adjusting colour choices. For example, the skin tone looked promising against the red, but not so much when I added the green. I now have my list of to do notes to develop the icons, and the work begins. My living room, which has become more studio then living room, is a game of rotating, musical easels. 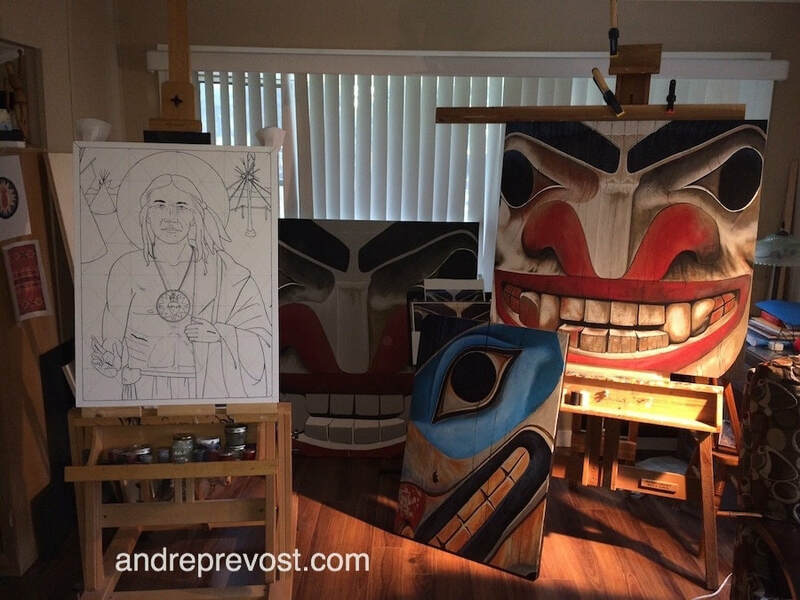 The two paintings on the floor have been relegated to the back burner for now, as I need to complete the commissioned Brown Bear painting on the easel on the right, and proceed with the commissioned Blackfoot Sacred Heart Icon on the left. The two paintings on the floor need to be completed in time for submission to the 2017 Sooke Fine Arts Show. I'm in the final stretch with the Brown Bear, working in the wood grain details. I just got the icon design inked in this morning. There will be adjustments as I move forward and as I begin to block in the base colours. The Sacred Heart design is approved, and as with all icons, it all begins with getting the wood cut. Unfortunately, I can no longer get 1/2 sheets of Baltic Birch Ply!. 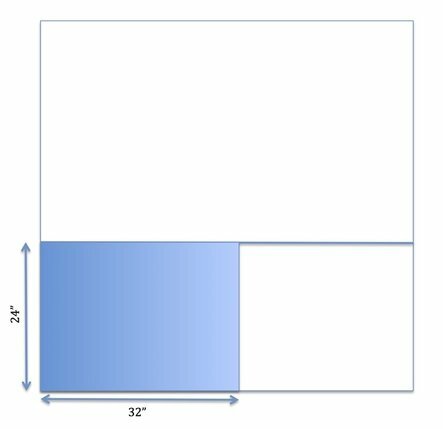 I only needed a 24" x 32" panel but had to purchase a full sheet that is 60" x 60"! 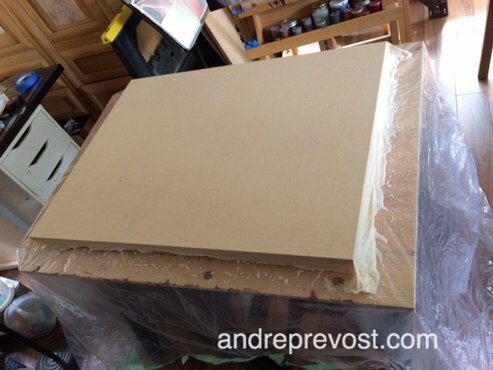 So after getting the 24"x32" piece cut, I now have a lot of extra Baltic Ply to keep safely stored, in the hope that it will eventually get used with other commissions that I don't know about yet. I've sealed the ply with a coat of gel medium. It helps to adhere the muslin onto the board when the board isn't soaking up the acrylic medium which I've dipped the muslin in, and minimizing air pockets. It gives me more time (not a lot) to work the cloth on the board and sides of the board. This is always a messy phase. I'll be doing that tomorrow morning. 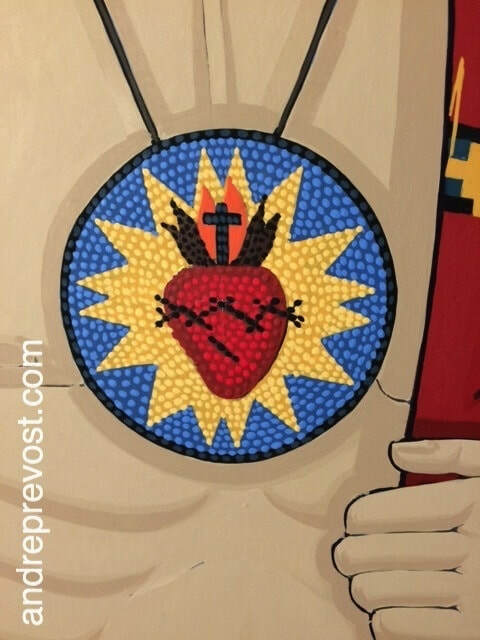 I so look forward to this new Blackfoot Sacred Heart Icon. Doesn't matter how many years you do this phase of adhering the muslin onto the board, it is always trying, fast, and messy! 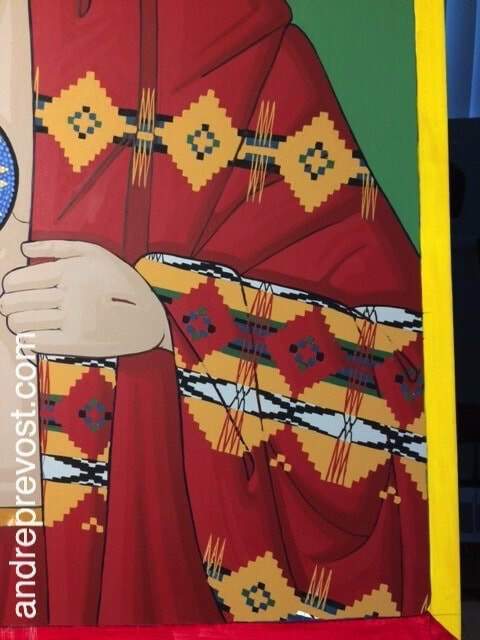 One key commission for an icon of St. Kateri has been postponed until late Fall. It is unfortunate but I am not the only one having to deal with budget shortfalls. But one other icon has been confirmed and I will start preparing the icon board tomorrow, one I get the 24"x30" baltic plywood piece. 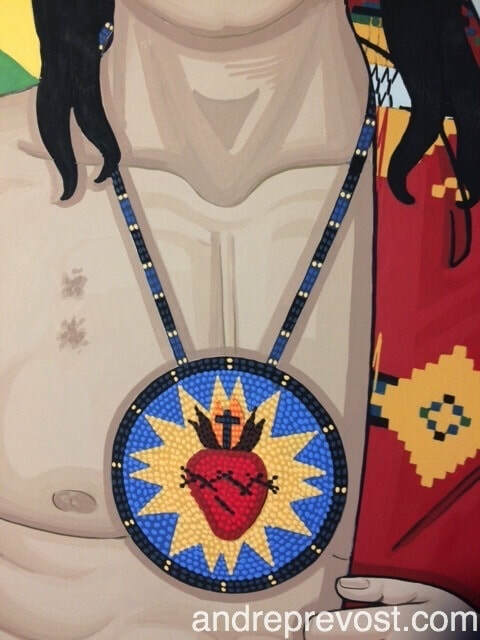 It will be an icon of the Sacred Heart for the Blackfoot Nation in Alberta. I look forward to the new challenges but always remain confident that I will guided along the way. I will provide updates as the icon is developed.